This post contains affiliate links for your convenience. For more information visit my disclosure policy here. It's Monthly DIY Challenge Day! 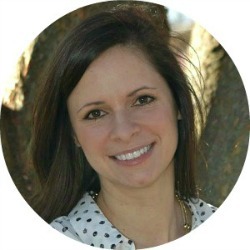 The second Wednesday of every month a group of my blogger friends and I challenge one another to create a project based on a particular theme or material. 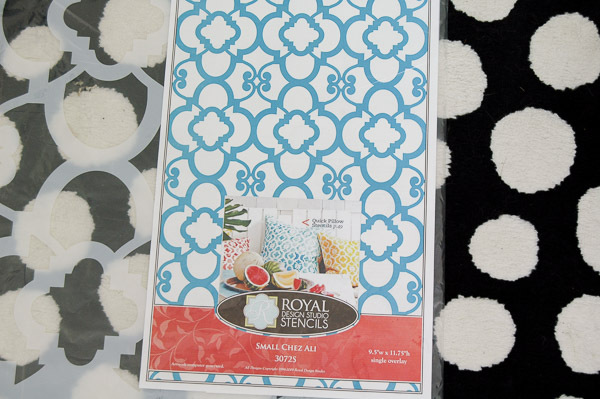 This month, Royal Design Studio was gracious enough to sponsor this month's challenge and provide us with a stencil of our choice. My office/studio has been cluttered, unorganized and uninspiring for way too long. 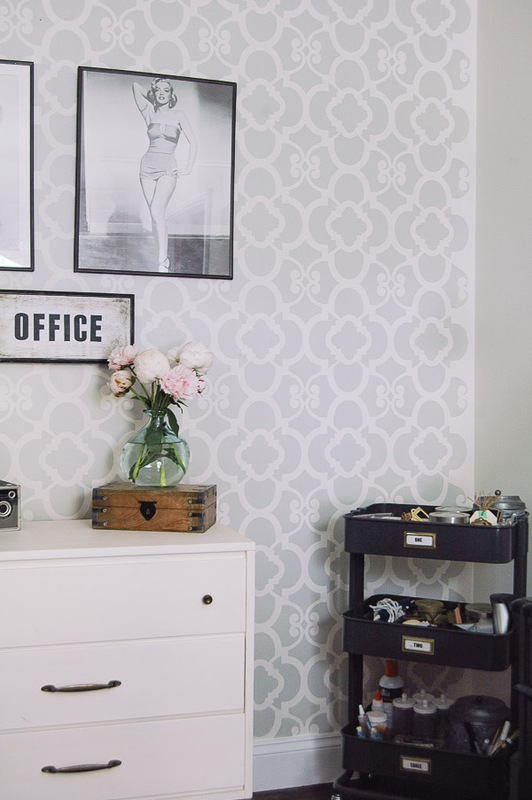 I needed a reason to spruce up the space and what better way than with a fun new wall treatment. 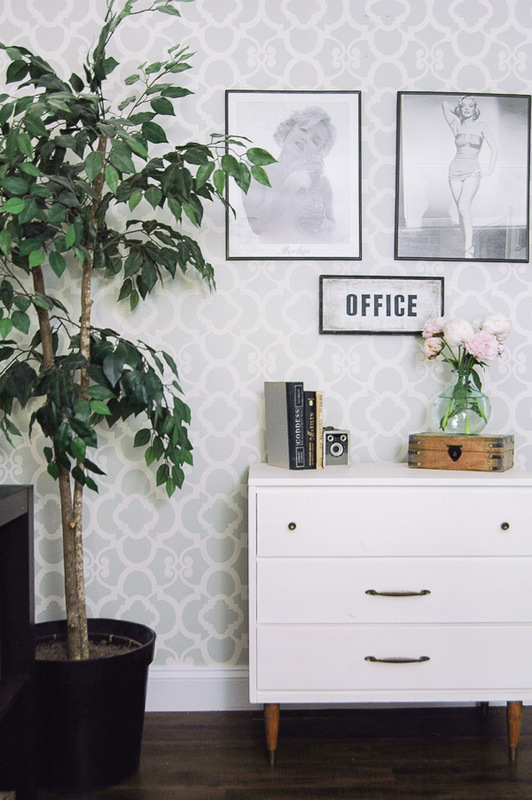 For those of you that are new to my blog, this space is part of the addition we added in 2014. It will eventually be part of our new kitchen, but until then I've taken over the space and turned it into my office/studio. 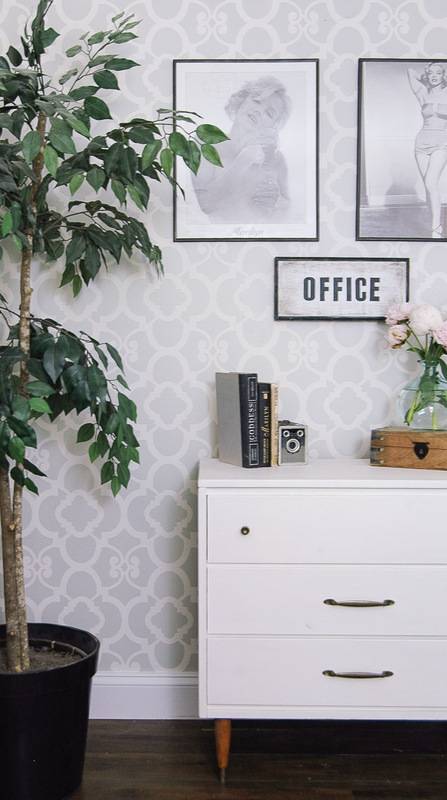 It's a great place to store supplies, take photos and work on projects without cluttering up the dining room table. 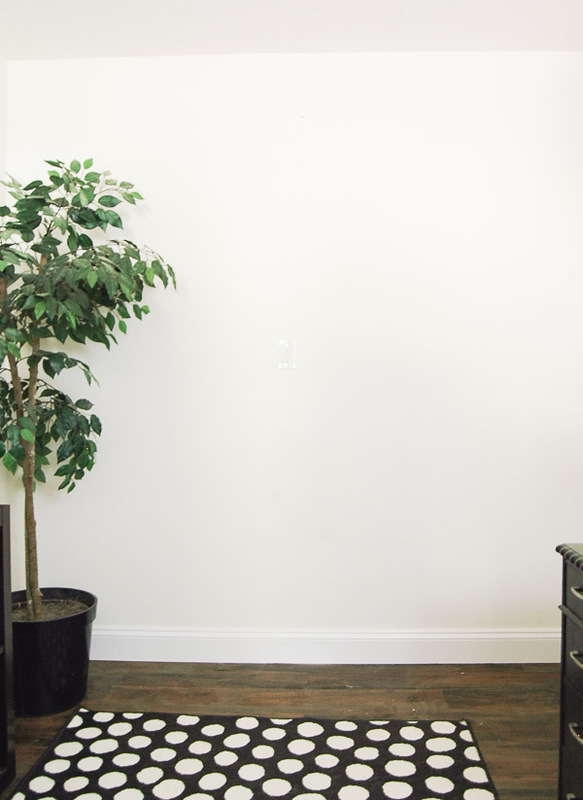 I've been determined to update this boring space on a very tight budget. That means working with what I have, DIY'ing a few projects and getting creative. 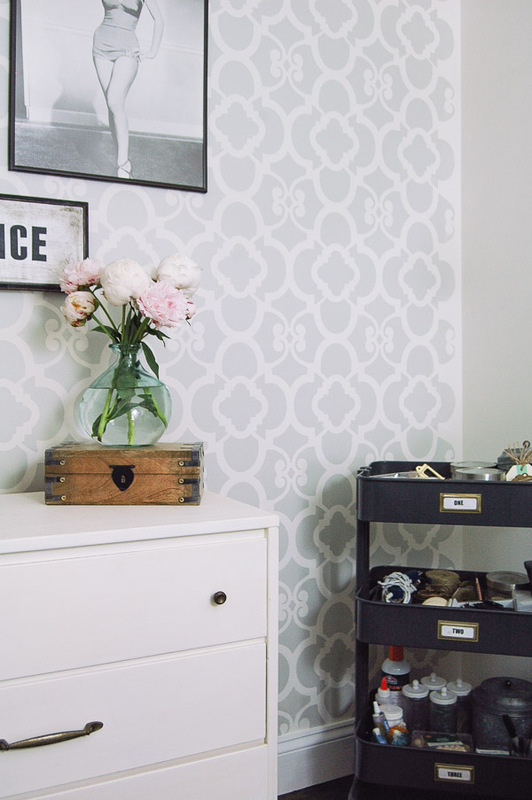 Currently, the walls are white and very stark and adding a stenciled wall seemed like a great way to add a bit of color to the space. 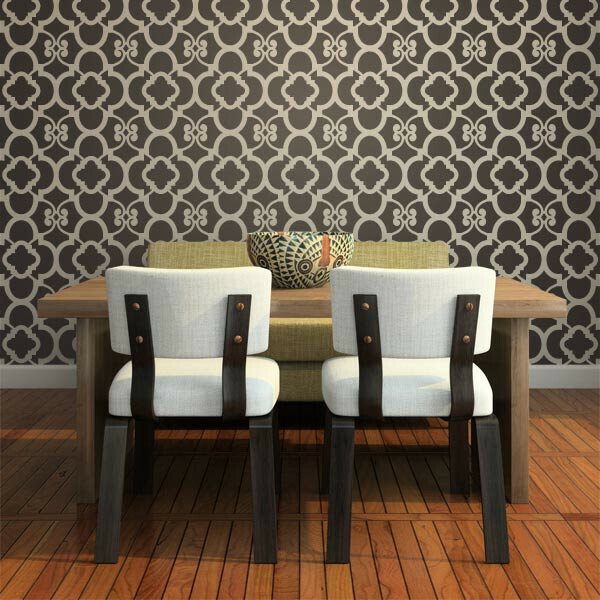 Royal Design Studio has hundreds of stencils to choose from, but ultimately I chose the Chez Ali Moroccan Wall Stencil. It's fun and girly without being too over the top! 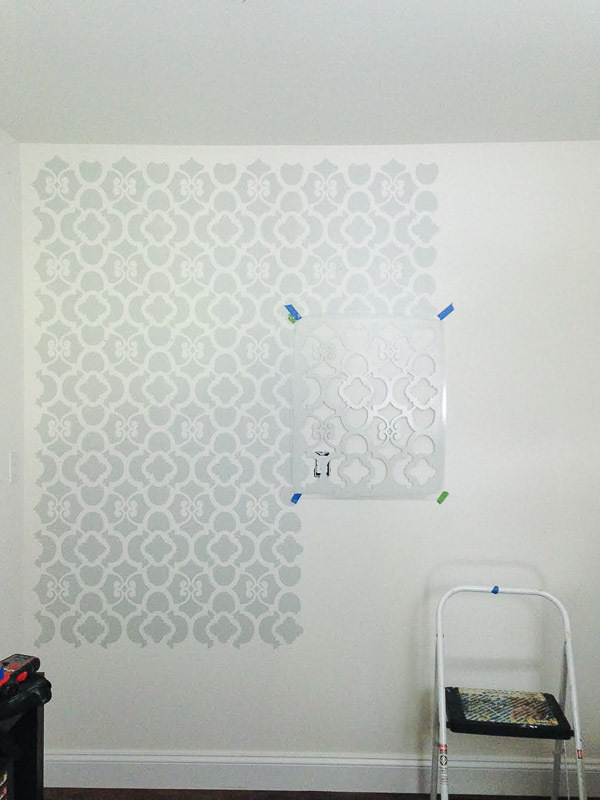 The stencil was pretty large, which made it easy to cover the wall quickly. Since the design I chose had a lot of open space to cover I opted for a foam roller over a foam brush. ***Tip*** Don't completely saturate your roller with paint. 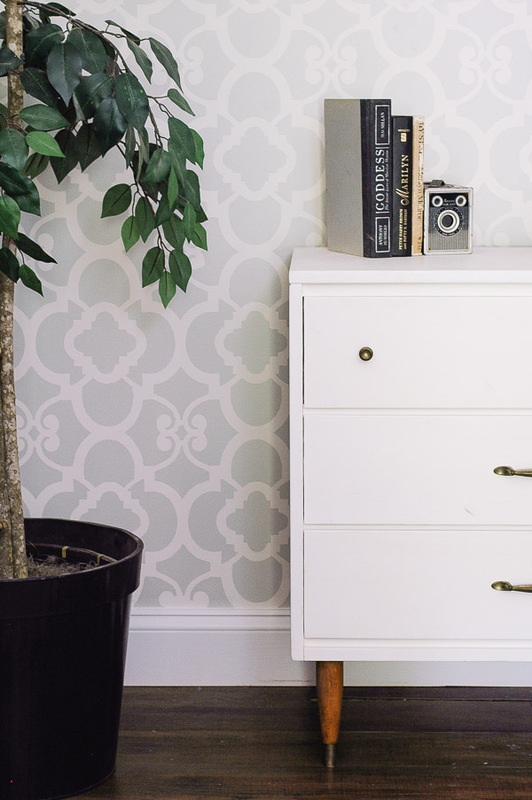 A little goes a long way when it comes to stenciling. I started at the top of the wall and used a laser level to ensure the stencil was level. 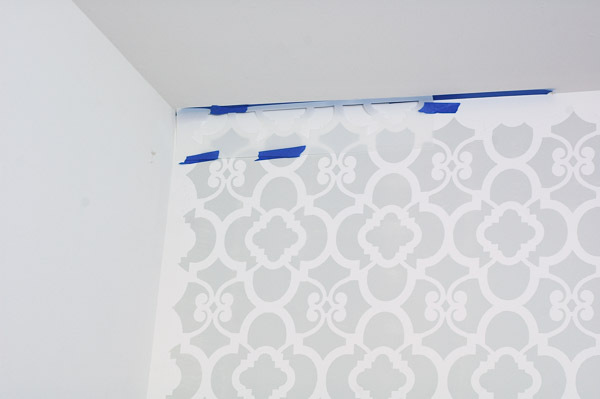 Once level, I used frog tape and painter's tape to hold the stencil in place. The directions say to start with the large main stencil first, THEN use the ceiling filler provided. If I were to do it over again I would definitely start with the ceiling piece FIRST then work my way down the wall. The stencil has laser cut markings around the border which make it easy to line up your design from one piece to another. I ended up doing two rows at the top before moving to the new row. This gave the first section time to dry and reduced the risk of paint smearing. 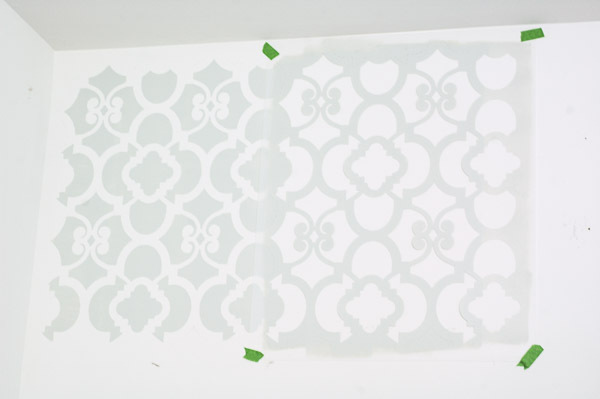 ***Tip***Clean off your stencil after each use to keep the dashed line registration clean. I didn't clean mine and found it a bit difficult to line up my design. I was going to use the ceiling piece provided, but ultimately decided to keep a border around the top and sides. I may eventually go back and finish, but I kind of liked it without the stencil going all the way to the top and sides. I did however take the stencil all the way to the baseboards. Previously, I had my green dresser in this spot and had plans to move the MCM Goodwill dresser downstairs. Well, those plans changed when I bought the green metal storage cabinet. I decided to move the green cabinet downstairs and keep the MCM dresser in my office. The green dresser will be stored in our shed since it was my grandfather's and I'm not ready to give it away. Did you catch all that? 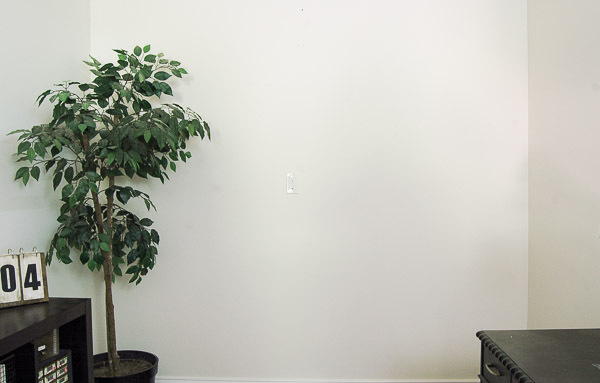 If you have good eyes you may have noticed the outlet that's smack dab in the middle of the wall. We had the electrical ran for our kitchen, which meant all the outlets are higher than normal, not ideal for decorating. I ended up repurposing a $3.00 Goodwill sign that's perfect for hiding the eyesore. 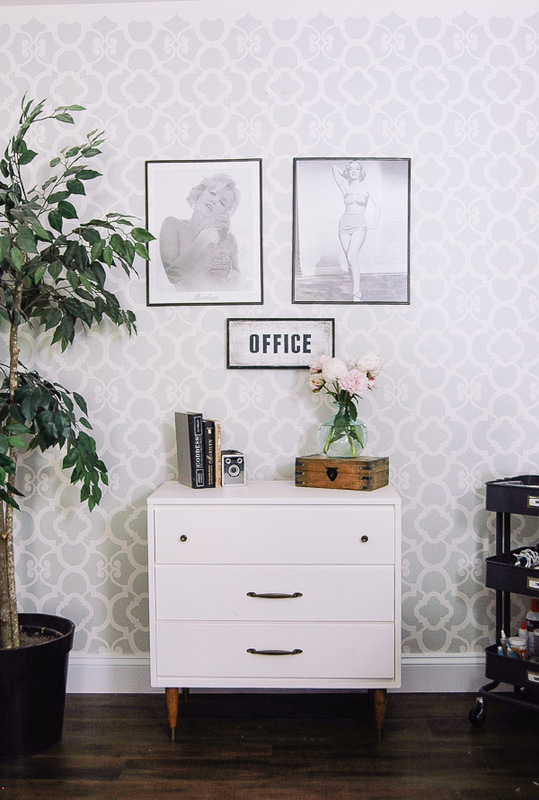 Peonies from the garden and my favorite Marilyn Monroe pictures and books help complete the space and make it my own. I LOVE how the wall turned out! The fun pattern and touch of color is exactly what this space needed. 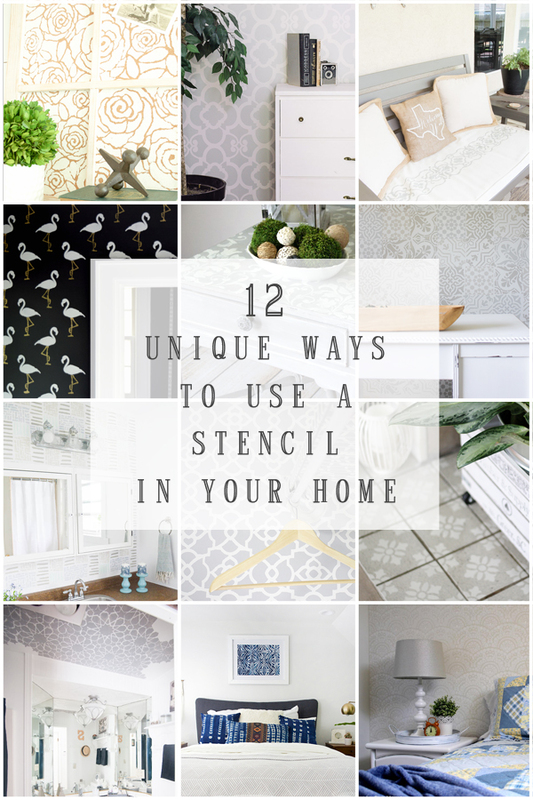 Now it's time to check out the 11 other amazing stencil projects! Love how this little space is coming together!! The wall looks so good! Oh my gosh! I absolutely adore that wall Katie! The pattern and colours are so soft and pretty! I absolutely love it Katie!! You picked a beautiful pattern and a beautiful color to compliment without overwhelming the space. What color paint did you use? 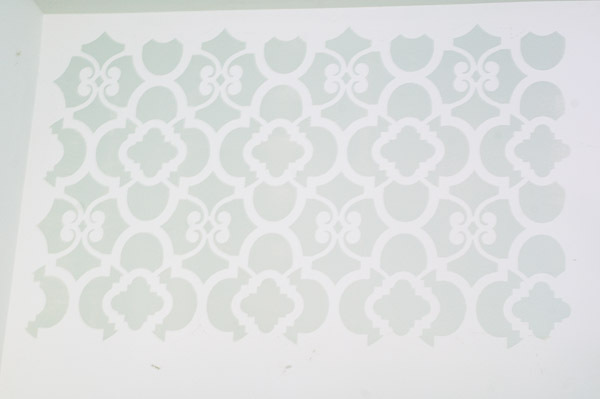 This is such a pretty stencil pattern. 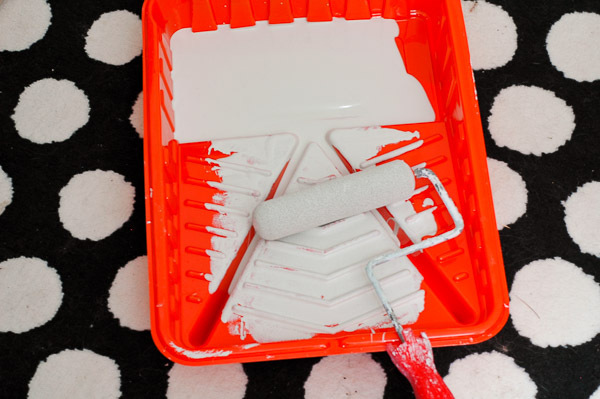 I love the paint color you chose and the entire space looks gorgeous! It turned out beautiful, Katie! I love the stencil design! And your peonies are the icing on the cake! Beautiful! I looked all over for the electrical outlet you were talking about, but never did see it...probably well-hidden right? You may not want to give up your space for kitchen now! 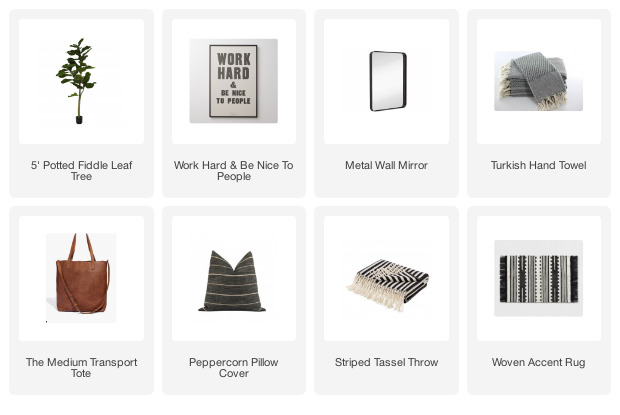 I discovered your blog and get a lot of great ideas for my own home. I am in the process of making a crafting corner in my kitchen. Really this post is useful for us.